Zotac, a computer hardware company based in Macau and yet another computer hardware company which put add-ons on NVIDIA Graphics Chips and sells them just like ASUS, MSI, etc. Zotac's 1050 Ti is an amazing device with excellent performance and benchmarks, tested by experts all over the world. Graphics Cards are in high demand nowadays due to Cryptocurrencies and more and more people getting in the field of gaming and designing as well. You must be saying that motherboards and nowadays processor chips as well comes with great GPUs on board then why should we opt for a dedicated graphics card? Integrated Graphics cards are good enough to get your high resolutions and to run few high-end games at Low or Medium settings but what about when you are up into professional graphical works, it exceeds the graphical needs and that particular process starts lagging or gives out an unexpected error such as Force Close, etc. Note: - If you are looking to go for Zotac's NVIDIA 1050 Ti, then I will strongly recommend you to go for a Dual-Fan Variant rather than going for Single Fan. Dual-Fan variant is an OC Edition which helps you in increasing your graphics cards performance to an extent and gives out more bang for the buck. NVIDIA 1050 Ti comes with 768 CUDA Cores and with a speed of 1392 MHz which can be further boosted to 1506 MHz. You get 4 GB DDR5 Video RAM which is more than sufficient to run high-end games such as Grand Theft Auto 5, Watch Dogs 2, etc. in 1920 x 1080p High Definition display without stuttering a bit. This graphics card is structured for High Definition Displays (1920 x 1080 being primary target) because of it being a mid-range card. Note: - Many Authority Tech Websites are giving out wrong information about this graphics card such as stating out Top Boost Speed to 1392 or changing Graphics Card VRAM to DDR4 rather than DDR5 and giving out fake reviews. I am personally using this graphics card and can tell from my personal experience that this graphics card is bang for the buck. Don't trust out Youtube Video comparison with GTX 1060 or anything else. I have successfully managed to squeeze out at least 60 FPS with this graphics card on maximum resource hungry games. Zotac NVIDIA 1050 Ti OC Edition comes with Dual-Fan on board for cooling which comes at a rescue when you are overclocking the device and help it run a much cooler temperature (if the temperature of Graphics Cards goes up then it will cause lagging, and the graphics card will not perform as it was supposed to). If you are buying an OC Edition (Over-Clock Edition) graphics card, then just like me you will be waiting for any game to stutter, sadly they don't. 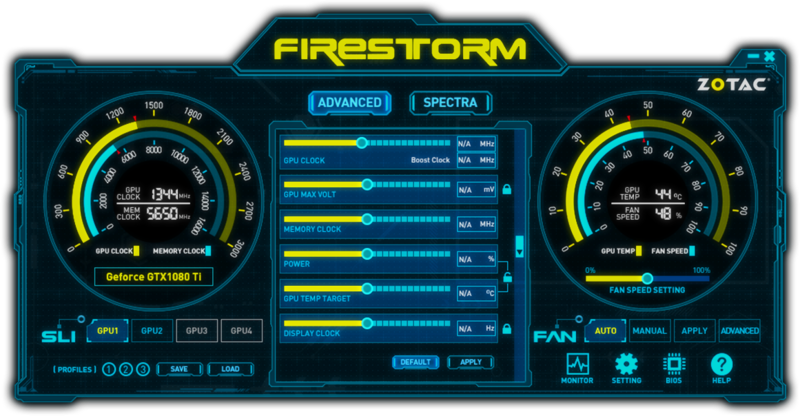 Still, Zotac's OC Edition Graphics Card comes with Firestorm utility which looks like Controls from an Alien Spaceship. Jokes apart, what is the use of buying an OC Edition Graphics card if you will not be overclocking, right? With FireStorm Utility literally, you will be able to edit every single aspect of your graphics card, let it be Fan Speed, Memory, GPU or anything else. If you have setup an SLI, then you will be able to toggle with that as well. Apart from all these you can easily overclock your graphics card without a single line of command making it an easy task, at least that easy that you should not worry about how to do it. 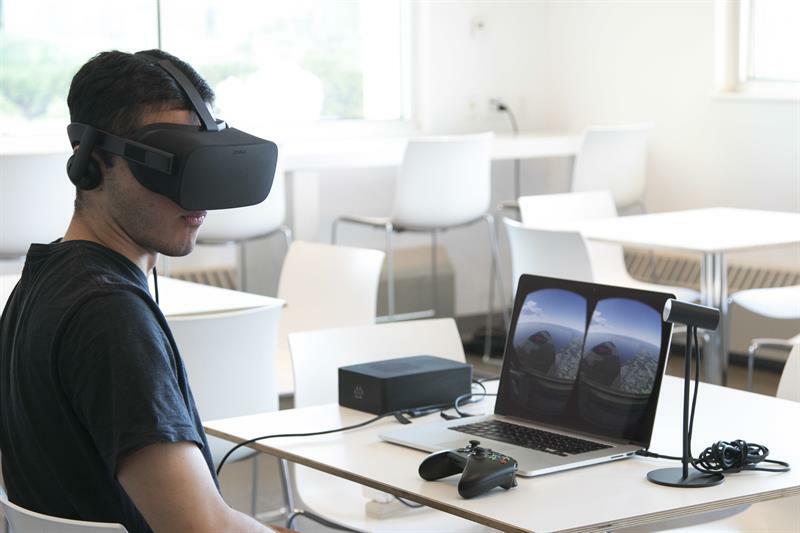 Virtual Reality is now moving towards computers and consoles at a very high pace. After testing out on smartphones people are now looking for better quality and greater compatibility. It is highly advised as on today to buy a Graphics Card, Motherboard and CPU after properly inspecting if they are VR supported or not, because God knows when a famous series of game launch their next installment with VR support. Yes, Zotac's 1050 Ti is VR Supported and you will be able to use VR with this graphics card. If you are India and looking to buy this graphics card then you will be able to get your hands on it at around Rs. 16,000 (after GST), with some contact I was able to get it at a discounted price of Rs. 13,000 from local market. So, try out in markets and some online websites as well, I am sure that you will be able to get at a good price.